“Mary Miller has always been an outcast. As a child, she fell into the hot burn – a torrent of warm chemical run-off from the local coal mine – and her hair turned white. Tnitially she was treated with sympathy, but all that changed a few days later, when the young man who pushed her in died in an accident. 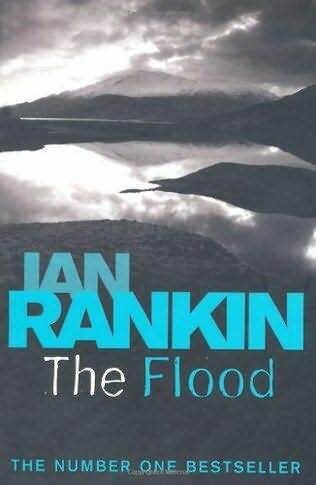 The Flood is the first book of the British author Ian Rankin, known for writing crime novels and is the best-selling crime novel writer in the United Kingdom. The main characters in this book are Mary Miller and Sandy, who is Mary's son. Mary is a single mother, who is around 30, but has white hair. This is because, she was pushed into the waste water from the coal mines known as “Hot Burn” and her hair turned white. Sandy is her son, who was born to her when she was fifteen. Sandy is hard-working, but may not be all that intelligent. It is mentioned that he had “rote answers” for his exam and he forgets those answers after the exam is over. He also liked English and was good at writing essays and poems. The story happens in Carsden, a fictitious village in Fife, Scotland, United Kingdom. It was a coal mining village and people in the village were satisfied but all of a sudden, there was a bolt from the blue. The National Coal Board issued an order to stop mining at Carsden because “mining coal at Carsden is more expensive than a tonne of coal at the market price”. Thus, the whole village was ruined by economics, people lost their jobs, they had no other skills and the youngsters had to move out of Carsden. Mary's own brother, Tom, moved to Canada. The Story has three parts - The Falling Time – 1963 – 1969 ; Sandy – 1985 ; The Flood – 1985. Mary Miller was lured to the “hot burn” and was pushed into it and because of the shock, her hair had turned white. Initially, the people of the village had sympathy for her. Later, the man who had pushed her had died in a coal mine accident. Her father had committed suicide, presumably, ashamed of her pregnancy. Hence, the people of Carsden considered her to be someone who brought bad luck along with her and was considered a witch. She tries hard to make the people of the village accept Sandy and her, but Sandy has fallen in love with a gypsy girl, and Mary thinks that if people come to know of this, her work, of all these years, of making people trying to accept the two, would be destroyed. But Sandy is resilient. The author has already mentioned it and I'm merely repeating, this book is neither a crime novel nor a thriller but it does have some secrets and revelations. The author has definitely managed to grip the reader's fingers to the pages of the book by making him / her read to find out what are those. The character of Sandy may have also been autobiographical and I'm coming to this conclusion just because Sandy likes English and writes well. There might have also been a philosophical angle, how an economist, with his / her scheme, can bring glory to the nation at the expense of the country's own people. The language was brilliant in this book, but it was expected, considering the author. I liked the usage of “double negatives” - for example - “he couldn't not take one”. The village and characters were described so well. But for that, I'd say that there was nothing special in this book. This is a very ordinary narrative. To keep the book interesting, there are several things mentioned in this book but it is ignored thereby becoming a loose end. Moreover, I do not know if I'm wrong, but I find this to be a logical flaw – Mary's income. She is not working, according to the minister of the Kirk, and she doesn't use the money sent by her brother to her bank account. But, she had all the modern gadgets(modern gadgets of 1985) and said that she had enough money. The end was also a bit abrupt, as if the author had a target of 250 pages and he had to complete the story quickly. I tried, but I failed to find a relevance to the title considering the story. So, I'd say that this is a book with nothing special in it and one can choose to read this book if they have nothing else to read. It scores a four on ten only because of its language and the crooked skill of the author to somehow manage to make his reader's fingers gripped to the book which means that the reader never found the book to be too boring. Rating : 4 / 10.